How to Improve HD Streaming Performance Without Paying Extra? HD streaming is providing you with eye-blowing resolution to watch, while at the same time placing a huge demand on your CPU compared to other video pixels. To handle the frequent HD streaming problems like HD streaming stutters or glitches, a free yet sleek tool is ready to help. Move on now and sweep away all those annoying HD streaming clutters, glitches, and crashes! Designated to boost HD streaming movies, 5KPlayer is simultaneously compatible with big names and lesser-known streaming HD services you can think of. 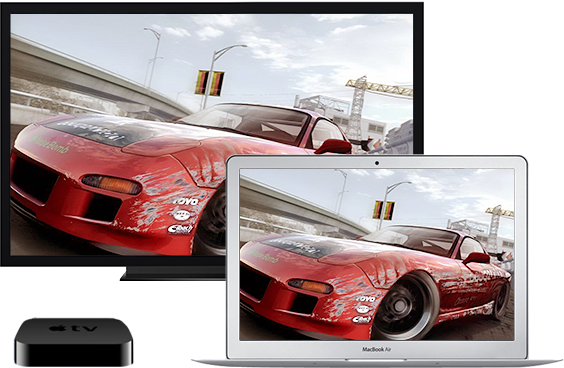 Install it on your Mac/PC, the tool downloads free HD movie streaming from YouTube and more than 300+ websites. Taking the absolute lead in 4K 8K HD streaming, 5KPlayer assumes a reliable helper to HD streaming service users. Given the threatening file size and diverse video codec of HD streaming, it takes an agile enough kernel and decoder for a streaming media player to really tackle HD streaming. This free HD streaming media player, spearheaded upon the release of the first 8K HD streaming video, is progressing by leaps and bounds among the top 5 video streamers to provide HD streaming support. From the pristine 4K video downloading and 4K HD streaming, it supplies stable functionality to streaming HD users on Windows and Mac. How to Improve HD Streaming Performance in YouTube and More? Step 1: Right click on the playback area of 5KPlayer. Tap "Synchronization" button. Step 2: Adjust the float bar on "Audio Axis" to sync YouTube HD streaming audio with video according to your need. No manual setting at all, with this free HD streaming media player installed, YouTube HD streaming and downloading will accelerate drastically even in the evening hours - when everyone occupies the most bandwidth of a day. And it offers more now! Free HD movie streaming and downloading now available at 300+ websites, grab the candies to your own taste now! To begin HD streaming Netflix movies and TV shows to your iPad/iPhone/iPod for on-the-go enjoyment: First, download the Netflix App on your iPad/iPhone, sign in to the account, search & select TV shows/movies from Netflix HD streaming list and click play. Even on occasions of 4K HD downloader errors, it will help you solve. YouTube surely is where the most HD streaming resources are, hence it is tagged first priority to by 5KPlayer streaming HD development team. How to Improve HD Streaming Sports, Movies and More? Likewise, you can exercise the same steps to HD streaming sports, movies and more like detailed above in YouTube section. Procedures to sync HD streaming sports are the same as YouTube. In terms of free HD movie streaming, you may need to add subtitles or adjust the subtitle float bar. Earlier this year upon the Mayweather VS Pacquiao Century Fight, HD streaming sports services crash all at once, how disappointing! Upon Mayweather's retire fight, you need 5KPlayer to download Mayweather's HD fight record. Finding it not impressive enough? Then stream the HD sports record to Apple TV and you'll find every punch and throw as powerful as if you are watching the fight yards away. How to Enable 8K HD Streaming Without Glitches? Download 5KPlayer on your Mac/PC, install and launch it. The most demanding 8K HD streaming is taken as example here to fully prove its ability with 4K 5K HD streaming , let alone the 1080p. Step 1: Click AirPlay button to set up 8K HD streaming from PC/Mac to Apple TV. Note : Confirm your Mac/PC and the Apple TV are connected to the same WiFi. Step 2: Import the 8K video downloaded from YouTube to 5KPlayer. Step 3: Improve 8K HD streaming performance according to your needs. Note : AirPlay icon in 5KPlayer will turn red if the 8K HD streaming is successful, thus providing an immediate indicator for users to troubleshoot AirPlay not working. As a dedicated HD streaming media player, 5KPlayer had been dedicated to high-resolution experience of Windows, Mac and iPhone iPad users. After trial use of HD streaming from Mac to Apple TV, it's recommended to AirPlay video to Windows PC from iPhone/iPad/Apple Watch for a fresh bite. Assuming the first 8K player on Windows 10, 5KPlayer tackles 4K HD video downloading beautifully. 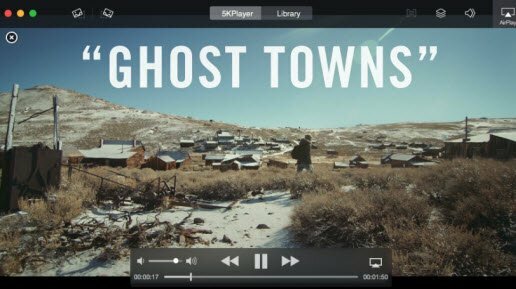 Stream 8K video from iPhone/iPod/iPad to Mac/Windows or from Mac/PC to Apple TV with best free 8K video streaming server. How to Stream Xbox One (360) to Windows 10 PC via Xbox App for Windows 10? This hands-on guide gives you the answer.